Aphrodite leads her son Aeneas to Paris to act as his squire on the journey to Sparta in his quest for Helen. The two Trojan youths wear Phrygian body suits. 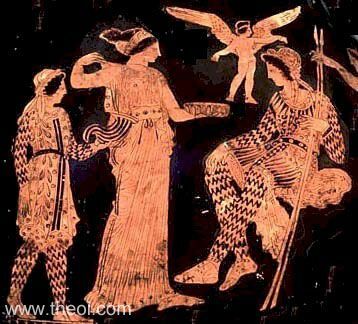 Aphrodite is accompanied by Eros (Love).